We just returned from a month of Jewish humor lectures and programs in South Florida, which included visiting local tourist attractions. One of the picturesque sites that we enjoyed was the Flagler Museum in Palm Beach, which once housed a hotel. It was the home of Henry Morrison Flagler, one of the richest men in America, who with John D. Rockefeller, founded the Standard Oil Company. Our curiosity was piqued by a recollection that before Grossinger's, the Concord, and Kutsher's, there was a Flagler Hotel in South Fallsburg, New York, at the center of the Borscht Belt. Could there be a connection between Flagler's hotel building spree in Florida and one of the first Catskills hotels? It didn't take much Googling to discover that there was indeed a connection. Although Flagler did not build the Catskills hotel, his Florida properties were the inspiration for the design of the first lavish resort that kept Jewish vacationers happy for many summers. 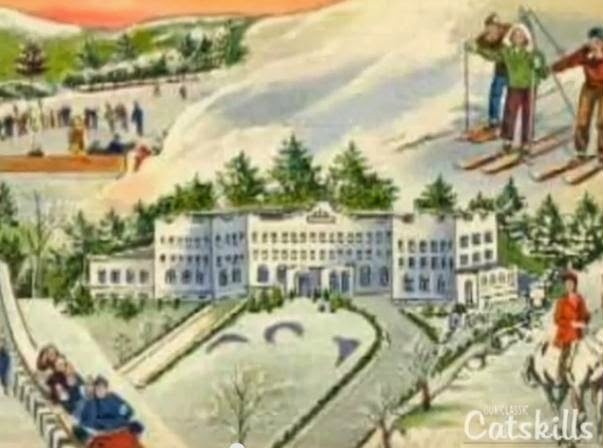 After Kutsher's, the last of the kosher Catskills hotels, was demolished last year to make way for a new spa hotel, and documented in Welcome to Kutsher's, a film now playing nationwide, we thought that anyone who treasures Catskills memories would enjoy this video explaining the Palm Beach - South Fallsburg connection.